The 'Fiveness' of Mary - Is It Genuine? SSPX Nearing Agreement with Holy See? "I Arose, and Am Still With Thee, Alleluia..."
Hans Memling, "Scenes from the Passion of Christ"
The Catholic News Service has posted the following video to its youtube channel, a brief interview with Fr. 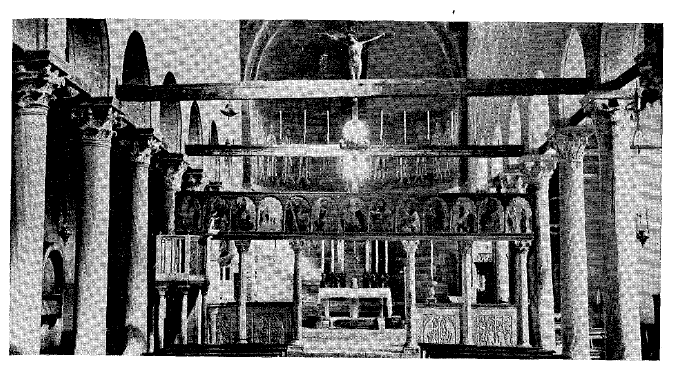 Joseph Kramer, F.S.S.P., the pastor of the Fraternity's Roman parish, Santissimà Trinita dei Pellegrini. In it, Fr. Kramer discusses a few of the cultural premises behind the liturgical reform of the 1960s, and the attitude of the young people of today to those cultural premises. I strongly recommend to our readers that they watch the video, and then read more about the matter on the CNS website here. Our task, our primary goal, is not a discussion of any particular articles of the fundamental doctrine of the Church, nor that we repeat at greater length what has been repeatedly taught by the Fathers and by ancient and modern theologians, and which we think to be well known and familiar to all. For this a Council was not necessary. But at the present time what is needed is that the entire Christian teaching with no part omitted, be accepted by all in our time with fresh zeal, with serene and tranquil minds, as it still shines forth in the Acts of the Council of Trent and First Vatican Council. 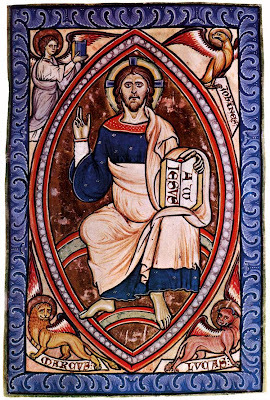 It is necessary that as all sincere cultivators of the Christian, Catholic, and apostolic reality ardently desire that the same doctrine be more fully and deeply understood that consciences be more deeply imbued and formed by it; it is necessary that such certain and immutable doctrine, to which we owe the obedience of faith, be scrutinized and expounded with the method that our times require. One thing is the deposit of faith and the truths contained in our venerable doctrine, another thing is the way they are announced, with the same meaning and the same content. 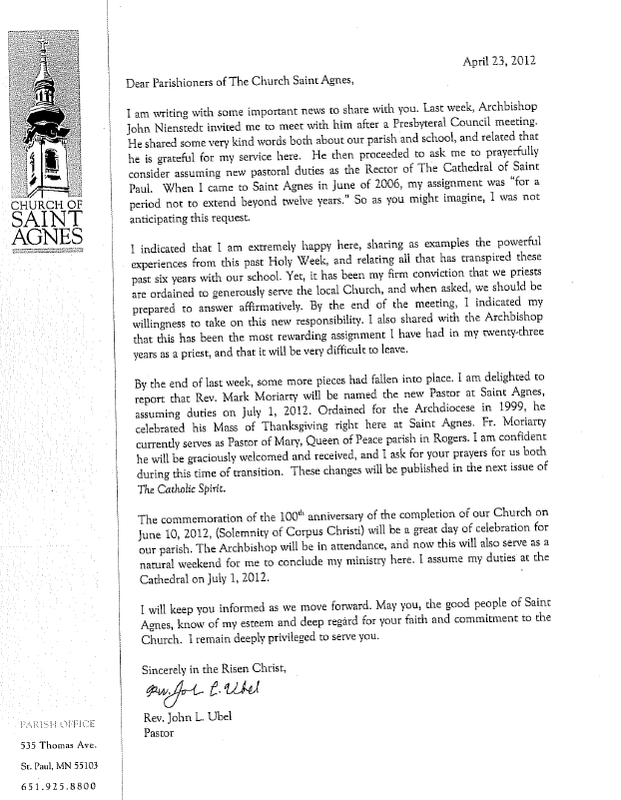 An interesting bit of news was published on the website of the parish of St. Agnes in St. Paul, MN recently. Namely, the present pastor of that well known and liturgically accomplished church, Fr. John Ubel, has been named the rector of that diocese's cathedral -- effective this July 1st. While I do not know Fr. Ubel in any direct fashion, from all that I know of St. Agnes and can read of Fr. 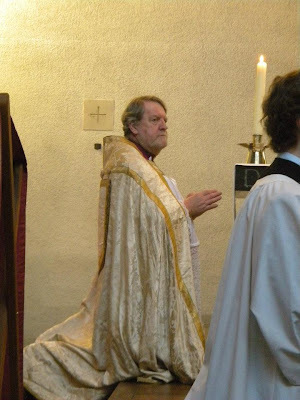 Ubel's liturgical work there (including the introduction of the usus antiquior in 2008), he is a very traditional in his liturgical inclinations. That, taken in combination with the importance -- both actually and symbolically -- of the position of the rector of diocesan, certainly makes this both a noteworthy and intriguing appointment. Regular readers of this column will already be aware that although icons are often thought by many to be exclusively Greek or Russian, there are many other Eastern variants and also Western traditions in iconography as well. 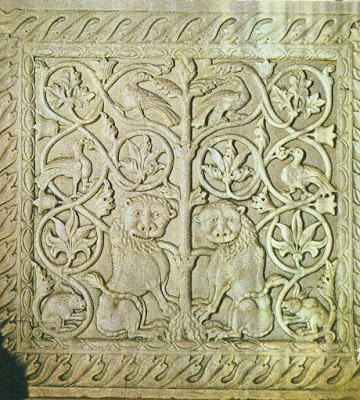 All the Western forms of art up to the Romanesque correspond to the iconographic prototype. It is through the study of a variety different variants that one can gain a deeper understanding of the principles that unite all icons. This summer at Thomas More College of Liberal Arts, we will be holding an icon painting class in which students will have a chance to learn one of these Western forms. 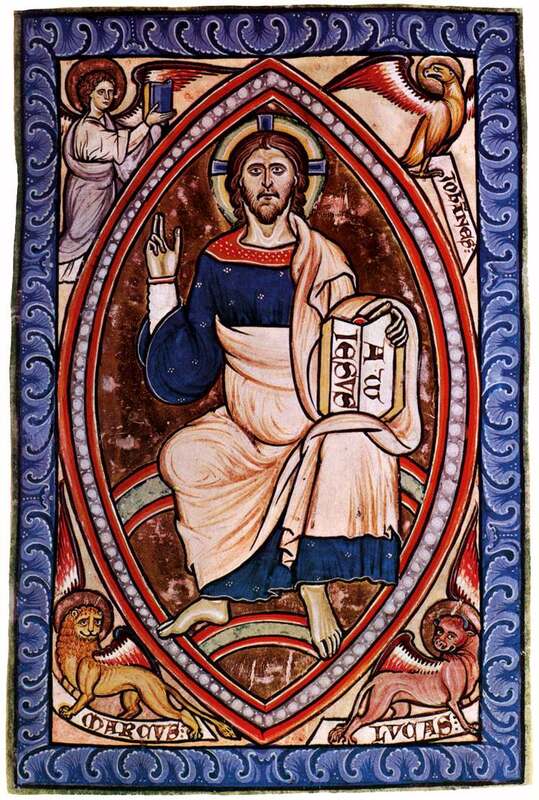 They will have a choice of a number of images that are English (and one German) 13th century icons. Although they have a characteristically northern Western European look, they are nevertheless in full conformity to the iconographic prototype. This year I have been teaching the icon painting class as usual to the undergraduates at TMC and suggested to them that we look at some of these images. Interestingly they students were very enthusiastic to do so and their work is amongst the best that I have seen students here produce. I have been pondering over why this is: andmy feeling is that this is because as Catholics, we relate very naturally to those images that are part of our tradition. I have no objection to Russian and Greek icon styles in Western churches, I should add, but my hope for the future is that as we start to see a flowering of Catholic culture, which will come with the liturgical renewal now taking place, we will begin to a distinctive Western style developing. I do not anticipate that it will look precisely as sacred art did in the 13th century, but nevertheless I do think that this is well worth studying so that it will inform what develops in the future. Further to our posting of some images from the spectacular Basilica of Santa Maria Assunta in Torcello, I thought some of our readers would likewise enjoy a few images from the Basilica of Santa Maria delle Grazie in Grado, Italy, which shares some similar characteristics. The presentation below is one of those media events that happens only once and will never be repeated, mainly because its brilliance rests most fundamentally with the delightful naivete of all of us who were involved in its making. We had no idea just how difficult such a task would be, or what the results might be when we started out. The credit belongs entirely to Jeffrey Ostrowski who shepherded from the beginning. The goal was to do something, anything, to convey to the world just how exciting and thrilling the world of sacred music truly is. It was also designed to advertise and market the Sacred Music Colloquium (which this year run June 25 through July 1 in Salt Lake City). It seems odd to use the language of marketing here since no one makes a dime from this event and the sponsoring organization runs on a shoestring budget. The truth is, however, that everything needs marketing at some level, something to convince people to interrupt the regular course of their lives and try something completely new. This has been the great challenge in the world of sacred music. The problem in our parishes is not unknown. It goes something like this. Our music is not serious, not substantial, not liturgical, facts which drive off serious people and talented musicians; but without the serious people and talented musicians around, there is no real hope for improvement down the line. It becomes a vicious circle that digs a deeper hole every year. The only way out is find people who have an ever so slight interest in doing something about the problem, training them to read and sing the chants of the faith, and inspire them to get to work in saving the liturgy and the world. It's not so easy to do this. The Colloquium goes many steps beyond toward total immersion in heavenly beauty for a full week. Yes it is lifechanging. Every year the Colloquium has attracted more people. This year will be the biggest and best ever. I would suggest that nearly all progress in the Catholic musical arts in this country and beyond are due to this one event. The really big change this year is that we have opened up the program on both ends: you can be a non-musician, non-singer, and not read a note, or you can be an advanced professional with a conservatory degree. Absolutely everyone can benefit. We wanted to reduce the intimidation element that keeps people away while always increase professional networking opportunities. We hope that we've done both. So please consider joining us. As mentioned previously, the quincentenary pilgrimage to the Holy Coat of Trier is currently taking place. In addition to the Extraordinary Form Mass celebrated as one of the six daily pilgrimage Masses, last Saturday, 21 April, a pilgrimage of the Ecclesia Dei communities took place. About 2,500 pilgrims took part. 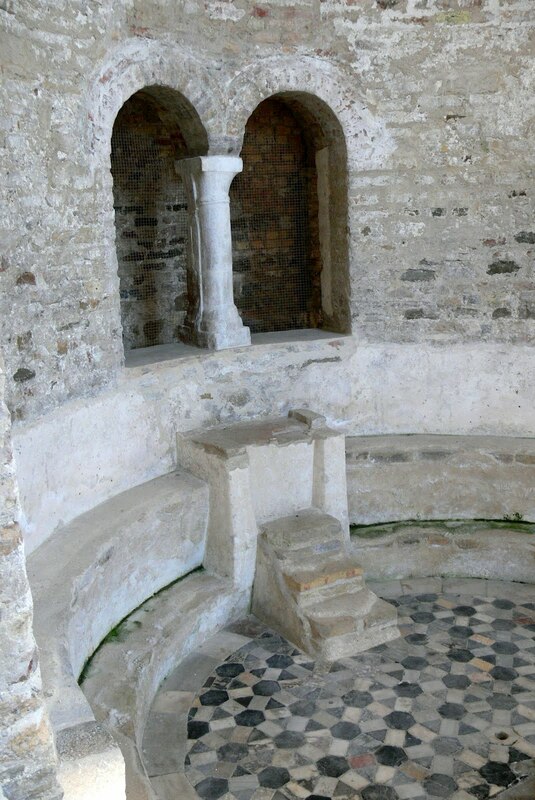 Due to the great number of pilgrims, the liturgical functions took place in the former abbey church of St. Maximin's. The church belonged to one of the oldest European monasteries, having been founded, according to tradition, by St. Maximin, bishop of Trier, in the 4th century, and it is also the burial place of St. Agritius, bishop of Trier, who brought the Holy Coat to Trier, along with the body of St. Matthias the Apostle. It was sadly profaned at the secularisation of 1802, being used for various profane purposes since, but was prepared for the sacred actions with the generous help of the diocese. 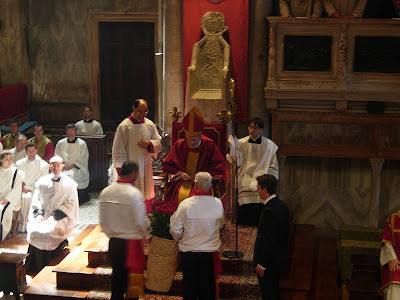 On the morning, His Eminence Cardinal Walter Brandmüller celebrated Pontifical Mass. The Cardinal and the pilgrims were greeted by the local ordinary, H.E. Msgr. Stephan Ackermann, who attended the entire Mass in choir, together with the Provost of the Cathedral Chapter. 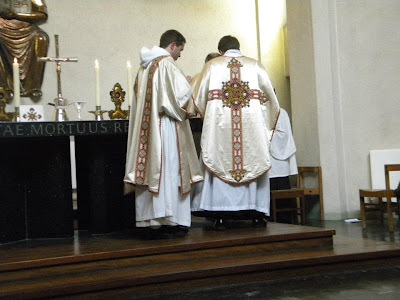 The ministers of the Mass were provided by the FSSP, while the music was performed by a choir and instrumentalists from the Servi Jesu et Mariæ and the Catholic Scouts of Europe. 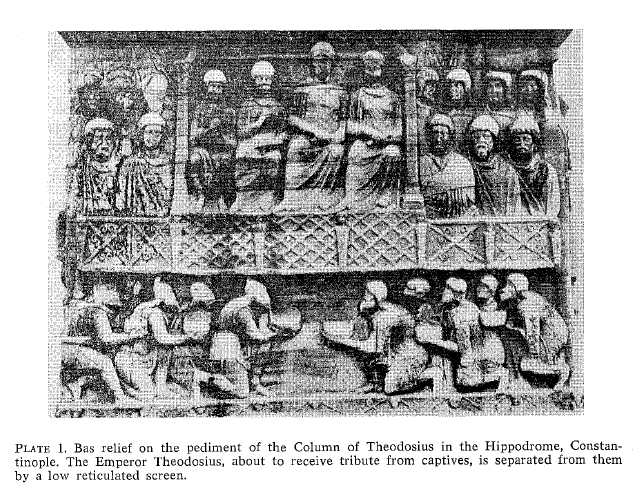 After Mass, the pilgrims went in procession to Trier Cathedral, where - after waiting more than two hours due to the number of pilgrims - they venerated the Holy Tunic. In the afternoon, Card. 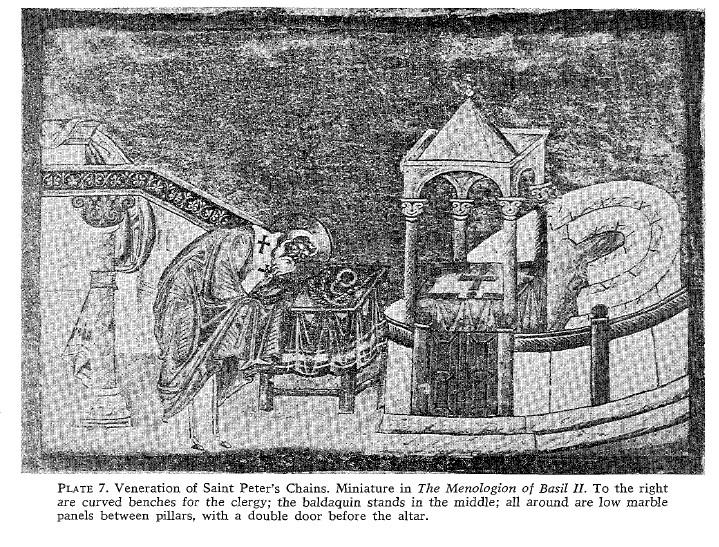 Brandmüller, served by the ICRSS, sung Pontifical Vespers followed by Benediction. The photos shown above, as well as an additional report, were sent in by reader Dr Schilling from Trier. 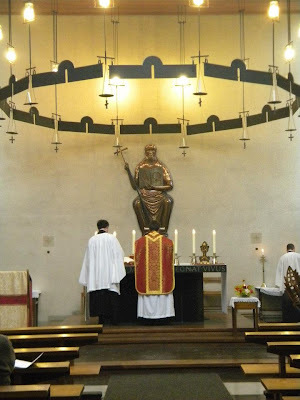 Contrary to the impression given in some places, the liturgy of the Roman Rite in its Ordinary Form is governed by rubrics, the faithful observance of which occasionally invites the charge of "rubricism" from clerics less inclined to "say the black and do the red." Rubricism, of course, is obsessively punctilious anxiety about following the liturgical rules. 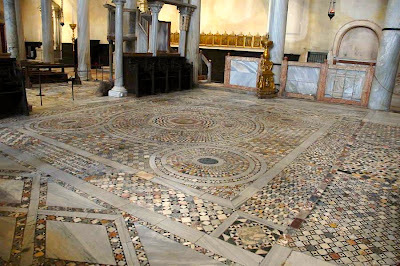 Like Father Bozo's idiosyncratic impositions, rubricism diverts attention, albeit more subtly, from where the focus belongs: on the presence of Christ and on the mystery of Redemption that is actualized in the liturgy. Rubrics can be observed faithfully yet unobtrusively and unselfconsciously. 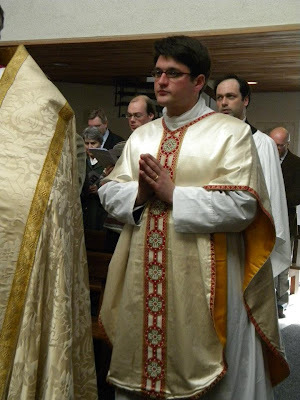 Newman House Press has just published an updated edition of Father Peter Stravinskas's The Rubrics of the Mass, an 8-page "guided tour" of the Sunday Mass (Roman Missal, 3rd typical edition of 2002), with rubrics and explanations for all who participate in the celebration. It sells for $1.50 plus $1.50 shipping and handling, or $3.00 per book. Bulk rates are available as follows: 5 books for $9; 10 for $14; 50 for $40; 100 for $56 (these prices include S&H). To order, call 732-914-1222 or write to: Newman House, 601 Buhler Court, Pine Beach NJ 08701. 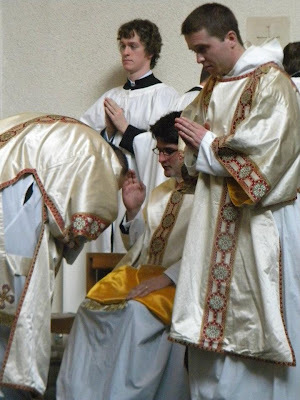 The other day we mentioned the ordination of two young men to the priesthood, both of whom will serve within the context of the Anglican Ordinariate in the United Kingdom. 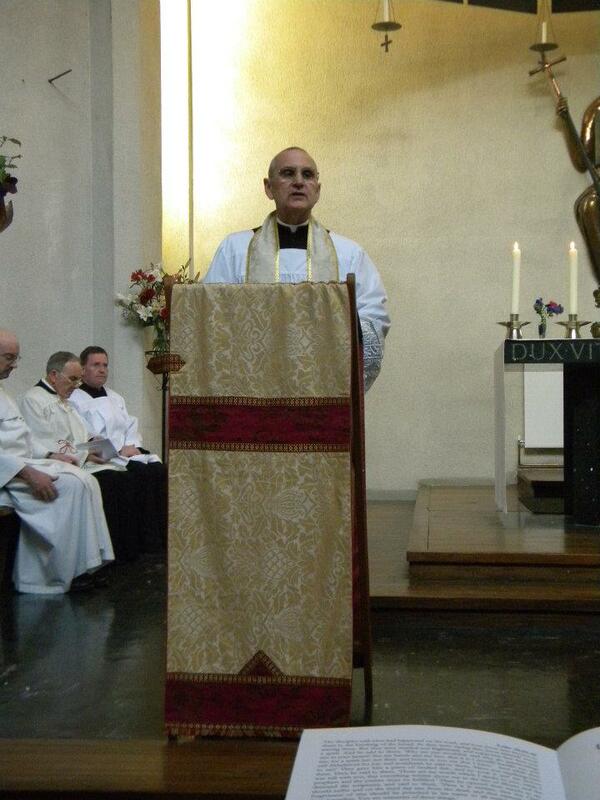 We initially showed to you some images of Fr. 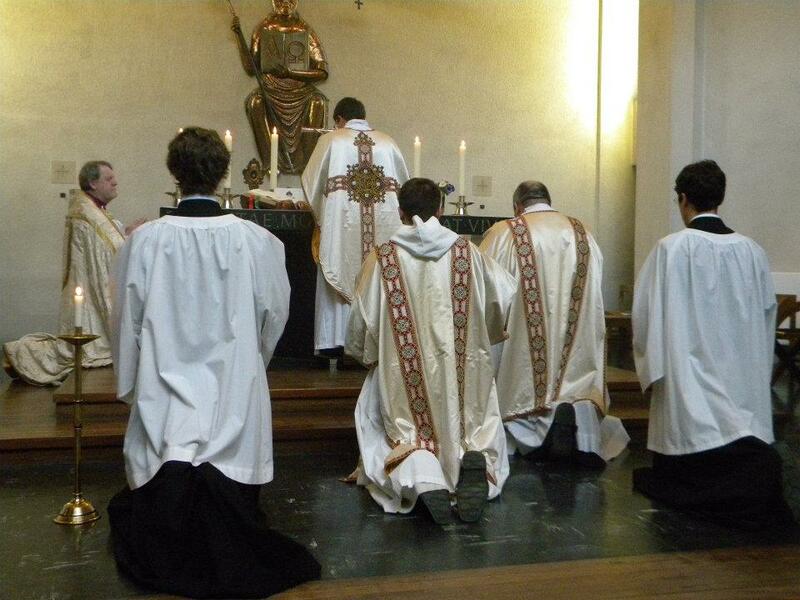 James Bradley's first Mass, and now here are some images from Fr. Daniel Lloyd's first Mass from Holy Rood in Oxford. Heartfelt congratulations to both priests. 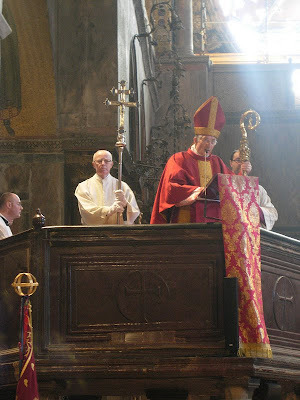 St. Colman’s Society for Catholic Liturgy is pleased to announce that the proceedings of the third Fota International Liturgy Conference, held in Cork, Ireland in July 2010, have been published by Four Courts Press, Dublin, Ireland. 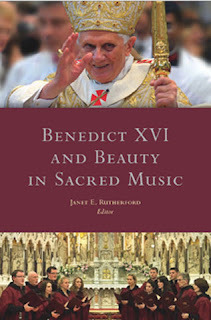 The volume, edited by Janet E. Rutherford and entitled Benedict XVI and beauty in sacred music, will be available in bookshops after 4 July 2012. Among other contributions, the book contains the following papers: D. Vincent Twomey, Introduction; Raymond Cardinal Burke (Cardinal Prefect of the Apostolic Signatura), The new evangelization and sacred music; Uwe Michael Lang (Consultor to the Office for the Liturgical Celebrationsof the Supreme Pontiff), Theological criteria for sacred music; Sven Conrad FSSP, The intellectual bond between Joseph Ratzinger and Johannes Overath; Alberto Donini (Diocese of Brescia, Italy), Gregorian chant in the liturgy according to Joseph Ratzinger; William Mahrt (Stanford University), The Propers of the Mass as integral to the Liturgy; Samuel Weber OSB (Institute for Sacred Music, archdiocese of St Louis), Singing the Propers of the Mass; Andreas Andreopoulos (University of Winchester), The use of music in Orthodox liturgical life; Stéphane Quessard (Archdiocese of Bourges, France), A renewal of sacred music; Alcuin Reid (liturgist), Sacred music and actual participation in the liturgy; Ite O’Donovan (Lassus Scholars, Dublin), Choral music in the celebration of the liturgy; Thomas Lacôte (St Stephen’s Cathedral, Bourges, France), Actions, texts and images of the Liturgy in contemporary musical creation; James MacMillan (composer and conductor), The Spirit of the Liturgy: rejoice in the tradition and embrace the future; Kerry McCarthy (Duke University), Listening to William Byrd. The book is 224 pages in length and priced at €30.00. Further to the annual Fota liturgical conference, here is a summation of this year's conference speakers and their respective papers. The conference will be on the theme of "Celebrating the Eucharist: Sacrifice and Communion." The promulgation of the new translation of the Roman Missal of 1970, invites us to reflect further on the "hermeneutic of continuity" articulated by Pope Benedict XVI, and the importance of this being demonstrated consistently in the celebration of the Ordinary Form of the Roman Rite. Beginning Saturday 12th May (at 6 pm), a weekly Vigil Mass in the Ordinary Form will be offered at St Aloysius' Church, 233 Balaclava Rd, Caulfield, which will try to exemplify "sacredness in continuity". The Mass will be celebrated in English, "ad orientem" at the High Altar, and with both the Propers and Ordinary of the Mass being sung. 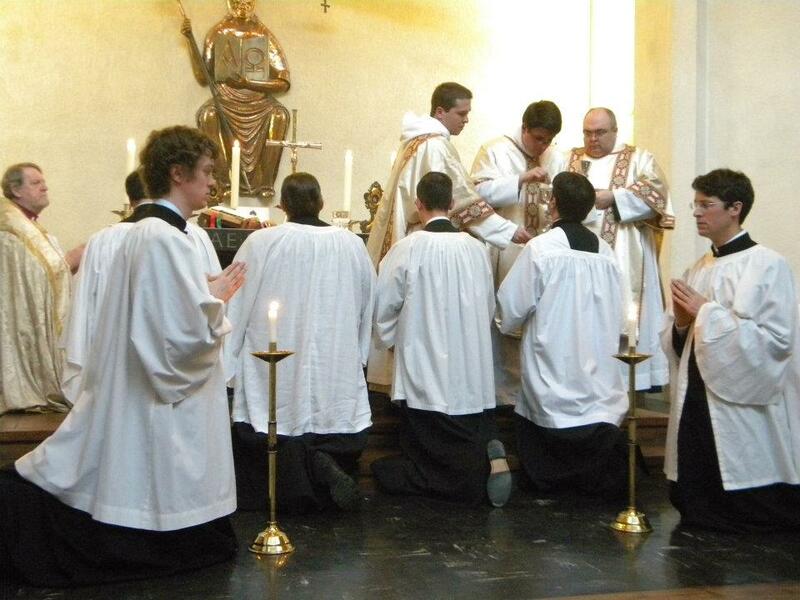 Following the example of Pope Benedict XVI, Communicants will be invited to receive Holy Communion on the tongue, whilst kneeling at the Altar rails. The inaugural Mass, at 6 pm on Saturday 12th May, will be offered for the intentions of Pope Benedict XVI. The community has started an additional website to this purpose: www.reform-of-the-reform.org. Their intent is made clear by the press release. While their focus remains the EF, they wish to provide for a celebration of the OF that exemplifies continuity. Given their particular devotion to and familiarity with the usus antiquior, they are certainly very well placed to effect such "reform in continuity." In our concluding article yesterday on the origins of the iconostasis we showed some images from that article which showed the basilica of Santa Maria Assunta in Torcello. 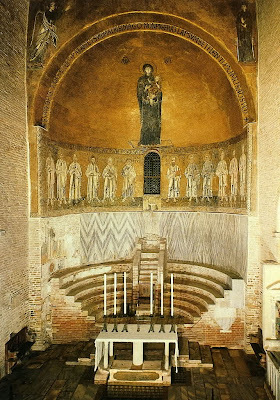 While we have shown some images of the apse of this remarkable basilica before, I do not believe we have shown any further from it and I wished to remedy that. 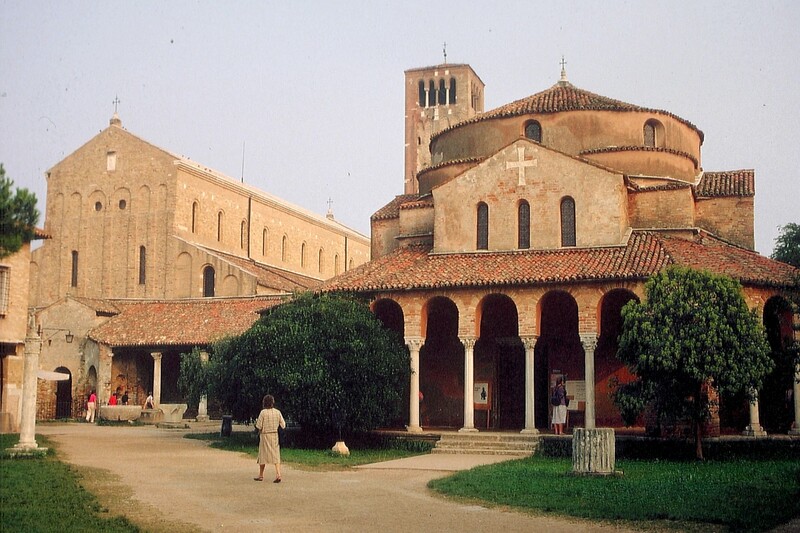 According to an ancient inscription, it was founded by the exarch Isaac of Ravenna in 639. 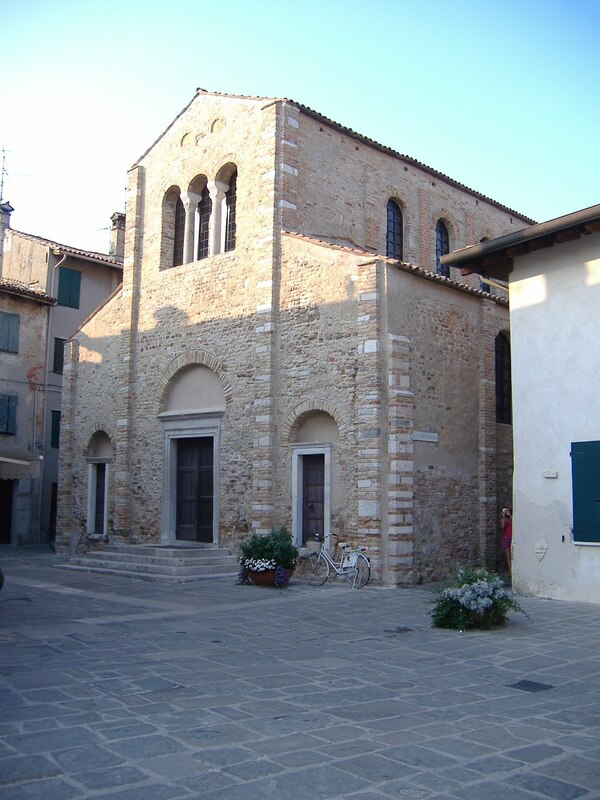 The original church is believed to have had a nave with one aisle on each side and a single apse on the eastern wall of the cathedral. It is difficult to tell what the original church was like because very little of it survived the subsequent renovations. Much of the plan of the original church survives as its present form is very similar to the original but the only physical parts that survive are the central apse wall and part of the baptistery that survives as part of the façade of the current church. 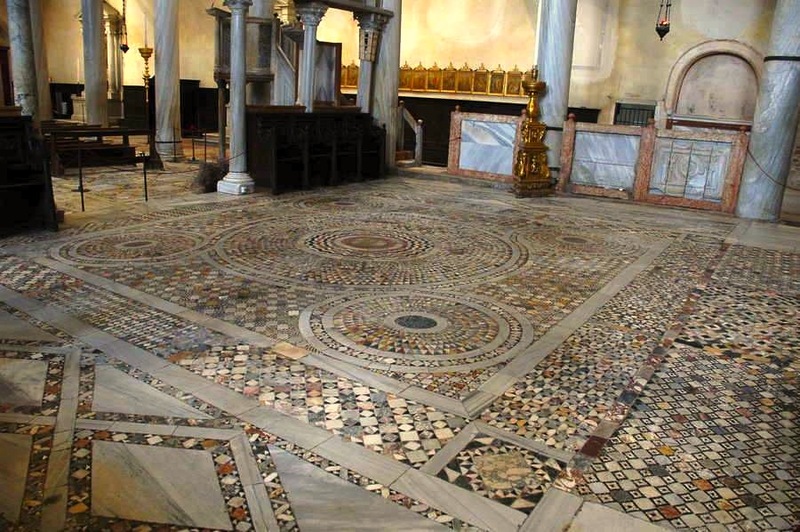 The first of two major renovations occurred in 864 under the direction of Bishop Adeodatus II. In this renovation, the two aisle apses that appear today were built. Also, the synthronon that fills the central apse was created and the crypt was placed under it. After this renovation, the cathedral would have resembled the current cathedral more than the original church would have but it is not until after the second and final major renovation that the cathedral appears very similar to its current design. 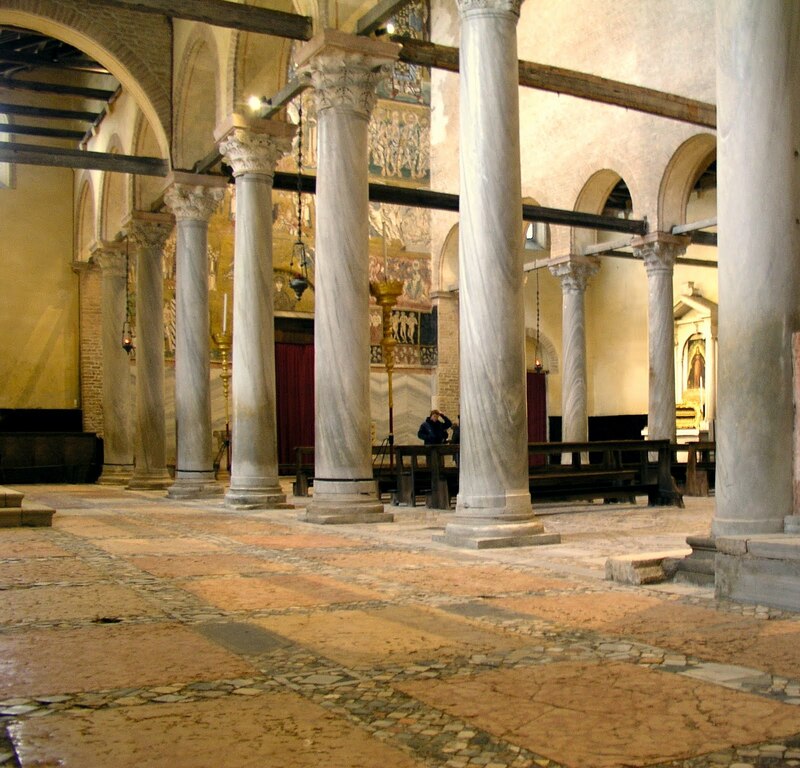 The final renovation was consecrated under Bishop Orso Orseolo, whose father Pietro Orseolo II was the Doge of Venice at the time, in 1008. 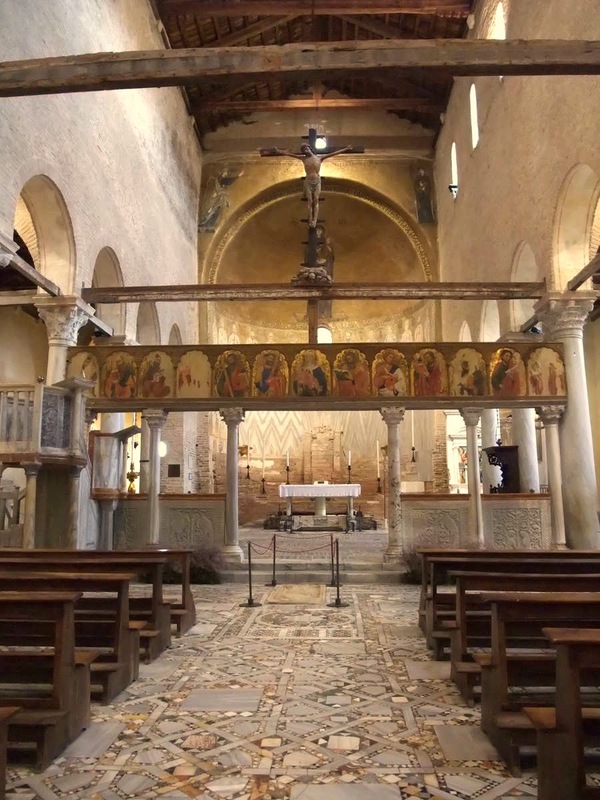 With this renovation, Orseolo raised the nave, added windows to the western wall, and created the arcade that runs along the nave on both sides separating it from the aisles and helping to support the clerestory. "At Rome, the Greater Litanies at St. Peter's." 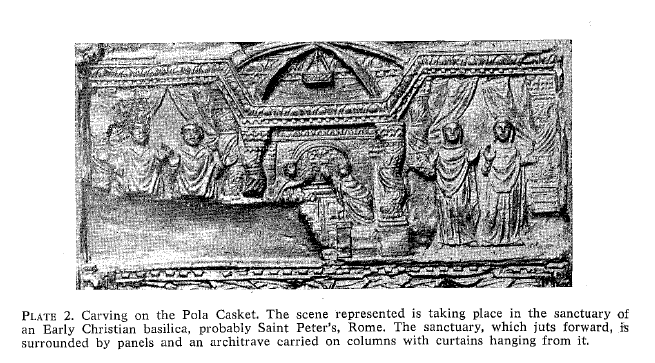 I thought some of our readers, particularly those with an interest in the history and tradition of the Roman church, would be interested to read a little bit about what Cardinal Schuster had to say about these processions. 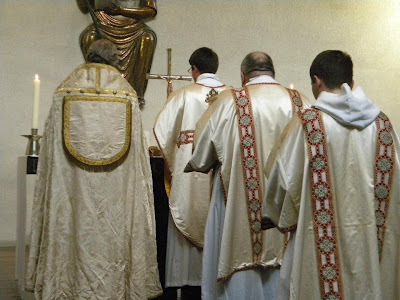 As this procession and the stational Mass at St. Peter's always occured at Eastertide, they had a distinctly festal character, in which they differed from the processional litanies which took place during Lent, these being especially distinguished by their penitential nature. 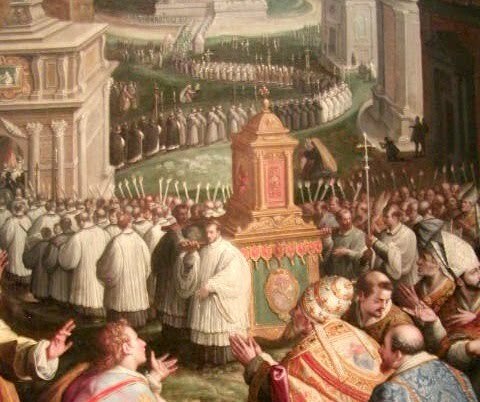 The Pope having recited the Collect, a subdeacon took from the altar the stational cross, and presented it to be kissed by all present, after which the procession set forth towards Sta Maria Nova in the Forum, where the first halt was made. When the Pontiff was somewhat rested, they proceeded to St. Mark's, where there was another pause. 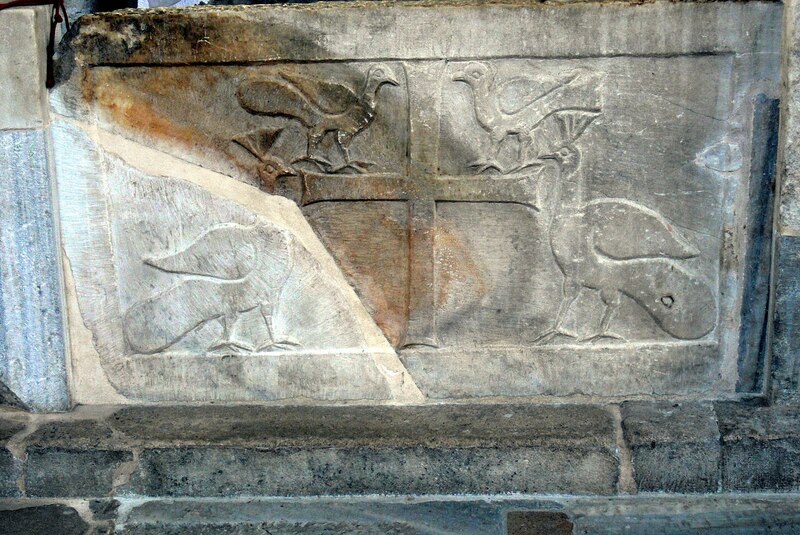 They next went towards the Mausoleum of Hadrian, the third halting-place, and finally in the direction of the Vatican. Both Schuster and Jungmann (see The Early Liturgy to the Time of Gregory the Great p. 145) speak to the pre-Christian origins of this procession, rooted in ancient Rome and then later modified to serve Christian purposes. 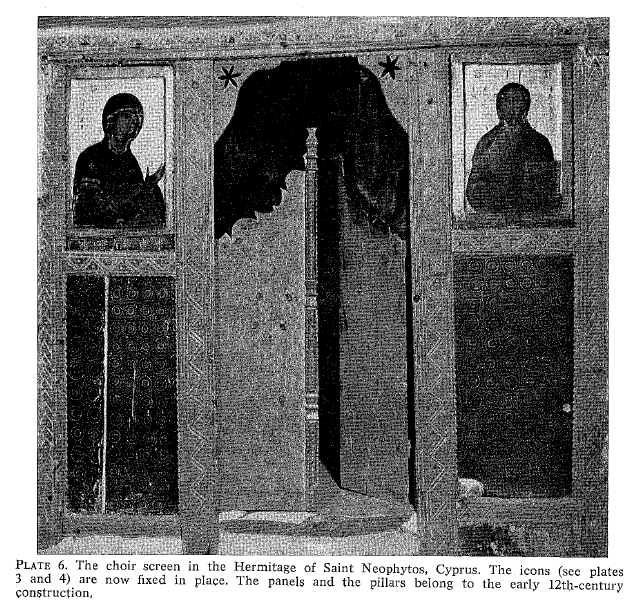 We now conclude our reprint of the article, "On the Origins of the Iconostasis" published in Eastern Churches Review, 1971. Comment: As you shall see below, the concluding statements of the author contains some rather debatable points, but we present it, as is only proper, for the sake of completing the article. Evidently as well, we must remember the particular time and climate in which these statements were written. In our own time, while we might well see some healthful consequences to some of the liturgical initiatives of the 20th century which the author refers, we are also quite likely to point out some other not so healthful consequences coming from the same period. We are thus back where we started. 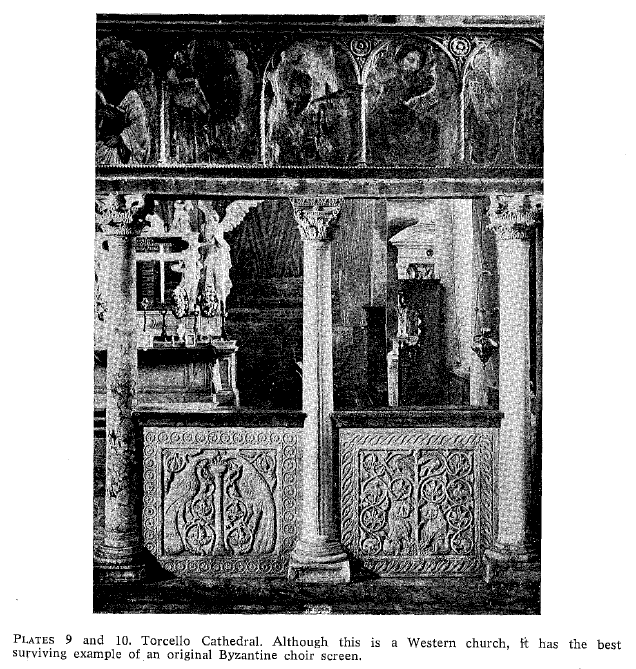 The text which I quoted from Bishop Symeon's mystagogical commentary describes the Byzantine sanctuary screen just at the time when it was about to be transformed into the classical iconostasis. 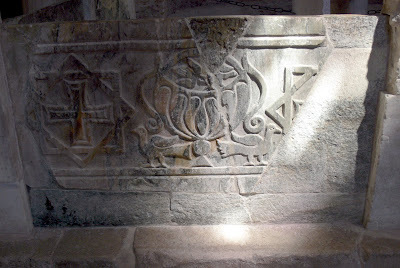 The earlier elements would remain. Two icons, the Pantocrator and the Hodegetria or Eleousa replacing the Paraklesis, would continue to be particularly venerated. They were fixed to right and left of the door to the sanctuary. The Deesis and the Great Feasts also remain, but incorporated into a more far-reaching programme embracing the whole divine dispensation. The icons, particularly those executed in Russia, would rapidly grow in size. 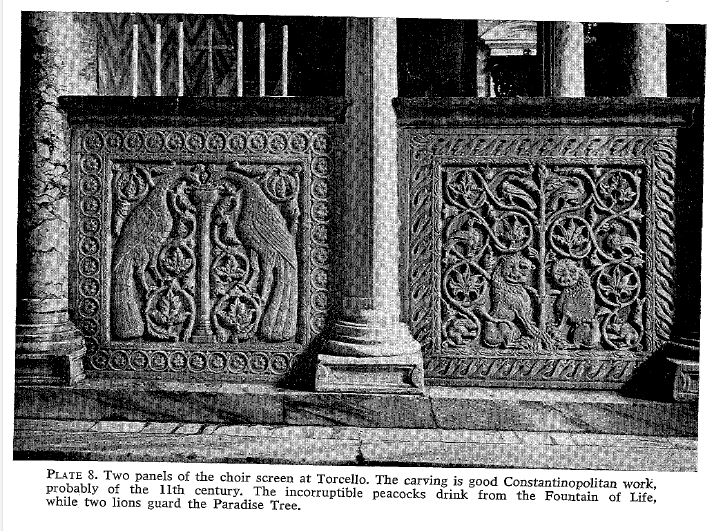 The Deesis attributed to Andrei Rublev which forms part of the choir screen at Zvenigrad is over three feet high. 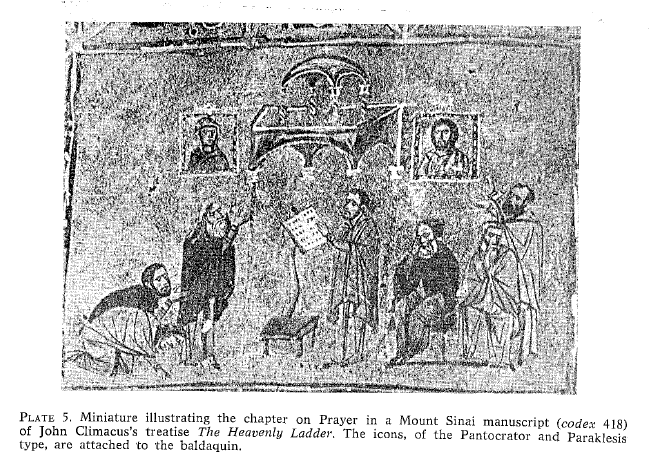 Multiplication of themes, increase of size, and perhaps also the impulse of Hesychast piety, which favoured the contemplation and veneration of icons, partly explain these later developments. I do not propose to go into them here but rather to pause in order to ask a question which seems to me to be of ecumenical significance. 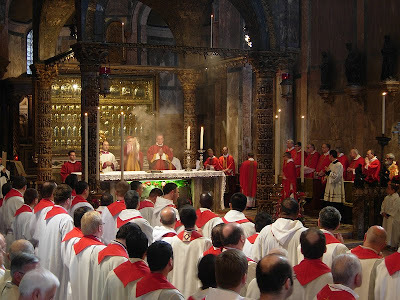 Is it not the case that in both East and West a progressive separation occurred between clergy and laity, particularly in liturgical celebrations, which is not a reflection of Christ's teaching nor of the Apostles' practice? This separation, now of long standing, did not, of course, come about in the same way in East and West. Practically speaking, however, the result in both cases was that the Eucharist became the preserve of the clergy in their sanctuary, while the laity, unworthy creatures, were kept at a distance. Their way of seeking communion with Christ was rarely by participation at the Eucharistic meal. They performed private devotions, and meditated upon the truths of faith which these devotions set forth. 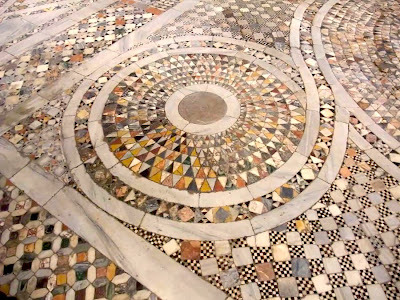 It must be added that during long centuries, in the Roman and Byzantine rites at least, the laity did not particularly resent this separation. However in the West there has been a reaction, abetted by the clergy themselves, which reached considerable momentum at the time of the Second Vatican Council. I do not know whether there has been a similar reaction among Christians of the Eastern rites. If so, I hope, having observed the healthful consequences of renewal in the West, that it will also gain in momentum. Once this momentum is gained it will necessarily sweep away the classical iconostasis. 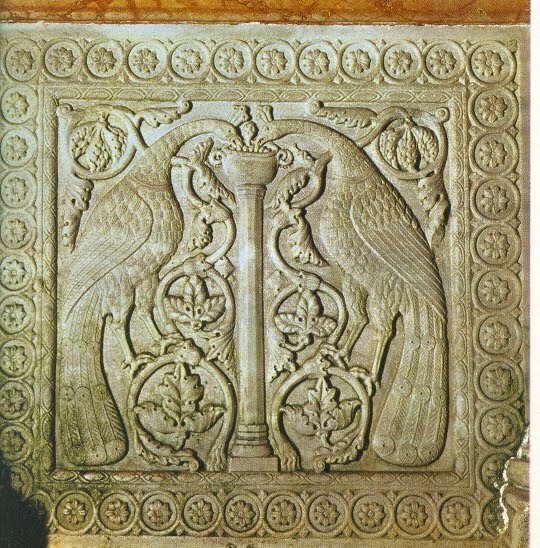 This was, as I hope I have made clear in the course of this short essay, a late development in Byzantine tradition. Presenting the faithful with a sensible representation of the divine plan, it has the disadvantage of hiding from them the intelligible mystery which is the Eucharistic celebration itself. No doubt there will always be devout Eastern Christians who would rather venerate an icon than participate actively in the Eucharist, just as there will always be devout Roman Catholics who would rather tell their beads. 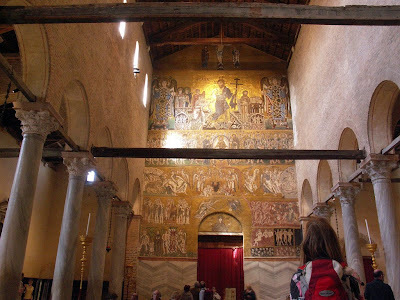 They will not easily accept the removal of the iconostasis from its place before the sanctuary, where it has become, falsely, the focal point of the Byzantine church, and the less easily since it is something of great spiritual beauty. However there is no room for doubt. The iconostasis bars the way towards the intelligible mystery, towards the Incarnate Logos, in whom all mankind—clergy and layfolk from East and West—will ultimately be One.